Free Pancakes — MumbleBee Inc MumbleBee Inc. Happy Halloween! Today only, bring the boys and ghouls to IHOP® for Scary Face Pancake, Free for kids 12 and under from 7am–10pm. It’s going to be a scream! 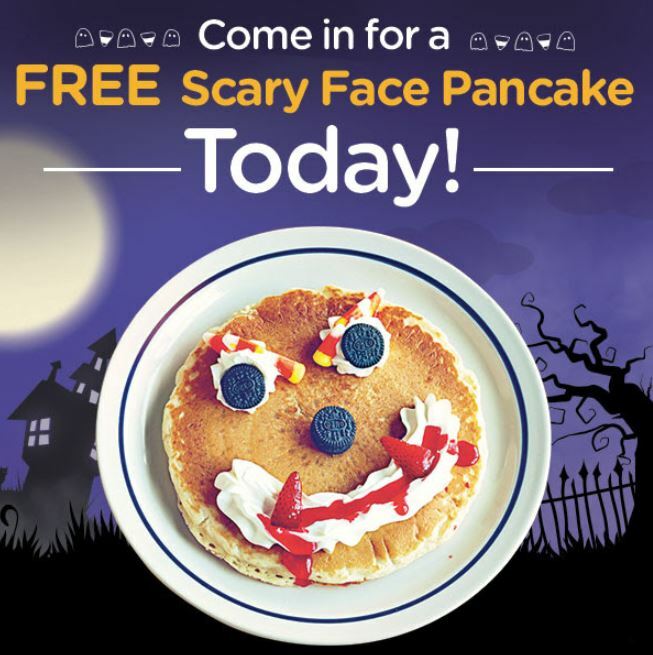 *All kids age 12 & under get a free Scary Face Pancake between 7a.m.-10p.m. on Tuesday, October 31 at participating locations. One per child. Dine in only. OREO and the OREO Wafer Design are registered trademarks of Mondelēz International group, used with permission. ©2017 IHOP Restaurants LLC. 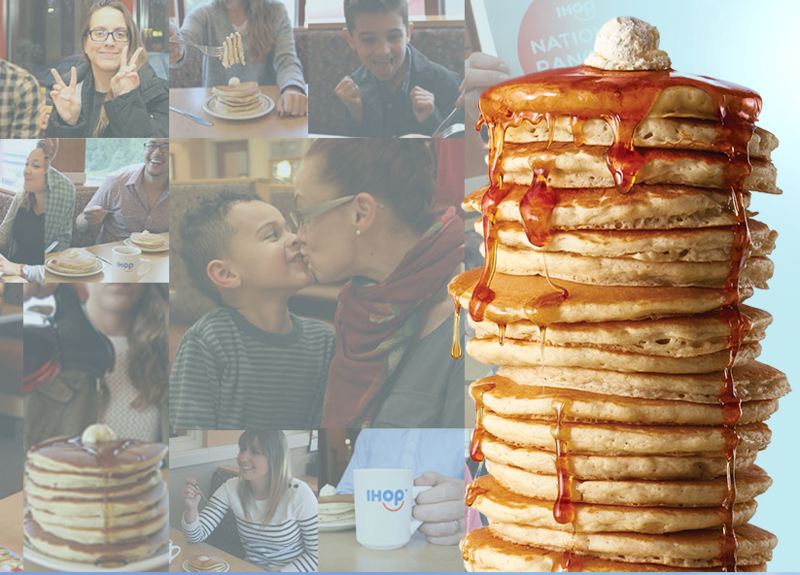 Share your creation on the IHOP® Facebook page, your Instagram account, or via Twitter and include the hashtags #ScaryFacePancake and #Entry and you could win cool prizes! Find a Participating Location Near You! No Tricks, Just Treats! 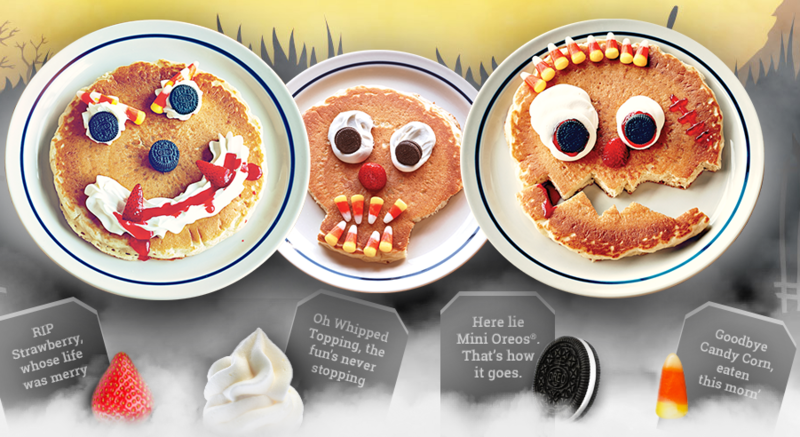 IHOP is celebrating Halloween all month long with our design your own Scary Face Pancake for kids. On Monday, October 31th, from 7:00 am -10:00 pm, all kids 12 and under receive a FREE Scary Face Pancake. Now through October 31st A fun family event your kids are sure to eat up! whipped topping, Mini Oreo® cookies and candy corn. When you’re out getting ready for Halloween fun, stop into IHOP® to share a meal and a moment! 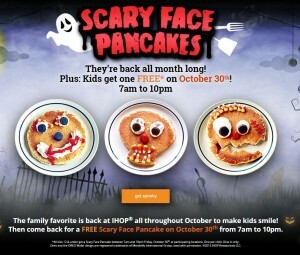 On Friday, October 30th, from 7:00 am -10:00 pm, all kids 12 and under receive a FREE Scary Face Pancake. 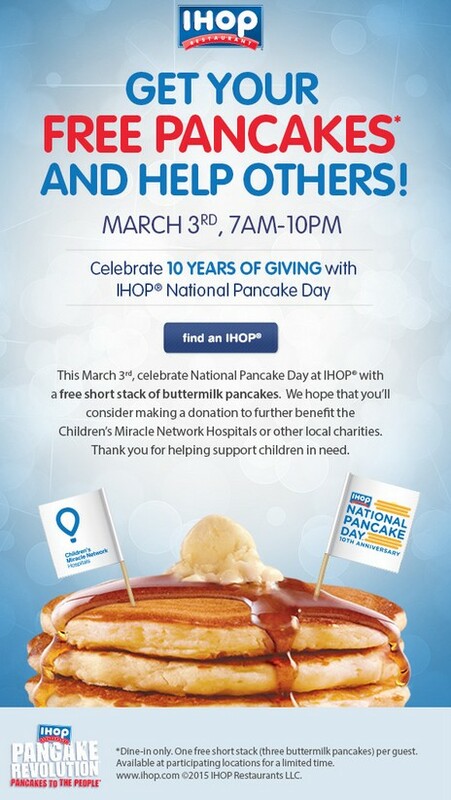 Since beginning its National Pancake Day celebration in 2006, IHOP restaurants have raised $13 million to support charities in the communities in which they operate. 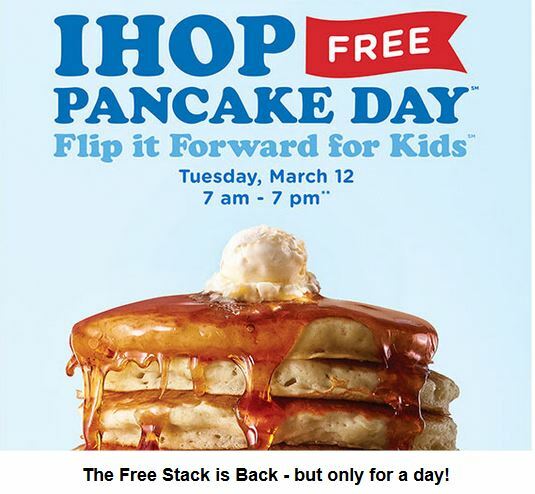 On March 4, 2014, guests from around the country will once again celebrate National Pancake Day at IHOP restaurants and enjoy a free short stack of Buttermilk pancakes*. 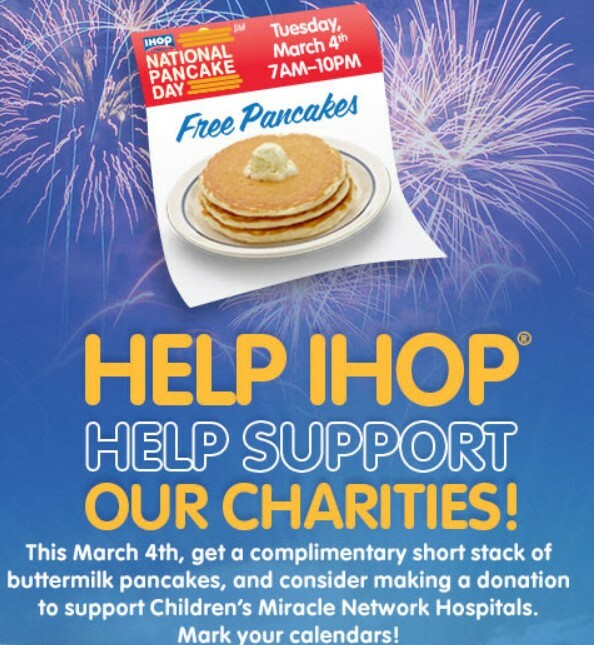 In return for the free pancakes, guests will be asked to consider leaving a donation for Children’s Miracle Network Hospitals© ** or other designated local charities.